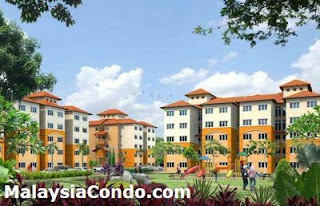 Teratai Apartment is strategically located Taman Sutera Kajang Township, close to Kajang and Country Heights, providing quick and easy access to all other major locations around the area. Teratai Apartment is a freehold apartment with built-up area ranging from 771 to 850 sq.ft. Each unit come with 3 bedrooms and 2 bathrooms. Built-up Area : 771 - 850 sq.ft.